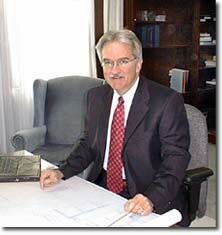 Stephen C. Forget founded Teton Construction Consultants in 1984. During the previous 10 years as a Military Officer and civilian with the Corps of Engineers he negotiated and settled change orders and claims for Corps work in and around Washington D.C. Steve recognized that contractors often had difficulty with settling matters because they did not fully understand their rights and could not effectively "speak the language" of the Federal contract when presenting their position. Contractor legal help typically complicated and elevated the issue above the Contracting Officer thereby protracting resolution. Steve recognized a market niche. Teton's practice is predicated on the philosophy that early problem identification and aggressive resolution efforts underpinned by an extensive knowledge of Federal procurement regulations serves the client's best interest. Nationally recognized instructor on the subject of Federal construction contract negotiations. Called upon by clients and the Corps of Engineers to present dispute resolution programs to contract administrators. Recognized expert witness on the topic of Federal contract administration but rarely called upon, as Teton's focus is early resolution. ADR: Cases that don't settle at the Contracting Officer level are typically resolved through ADR where Steve takes the lead in developing and presenting the case to the mediator who is typically a judge from the Board of Contract Appeals. Teton has yet to be involved in a mediation which did not result in a settlement. Recognition of Federal contracting expertise by selection to a blue ribbon panel that reviewed and recommended changes to the Federal construction contract special provisions and policy. Active arbitrator for the American Arbitration Association. Steve's 40+ years of Federal contract experience brings a uniquely focused approach to the resolution of Federal contract problems.